Summary: “Elvis Is Born!” proclaims the first page, and each page thereafter has a headline that tells what happened to Elvis Presley for the first couple decades of his life. He grew up in Mississippi in poverty–his father spent 14 months in jail for forgery–and moved to Memphis when he was 13. His mother bought him his first guitar for his 11th birthday, and music proved to be his ticket to a new world. As a teenager, he dyed his hair black, started sporting some pretty funky clothing, and left his shyness behind every time he got on stage. After making a record for his mom at Sun Records, he was recruited to make a real record and became an overnight star. The book ends with the release of “Heartbreak Hotel” that became a number one hit, and the simultaneous arrival of the hordes of screaming teenage girls. An author’s note gives more information and includes three photos of Elvis in 1937, 1956, and 1957. 40 pages; grades 2-5. Pros: Elvis may have been dead for over 40 years, but the legend lives on, and kids still enjoy reading about him. 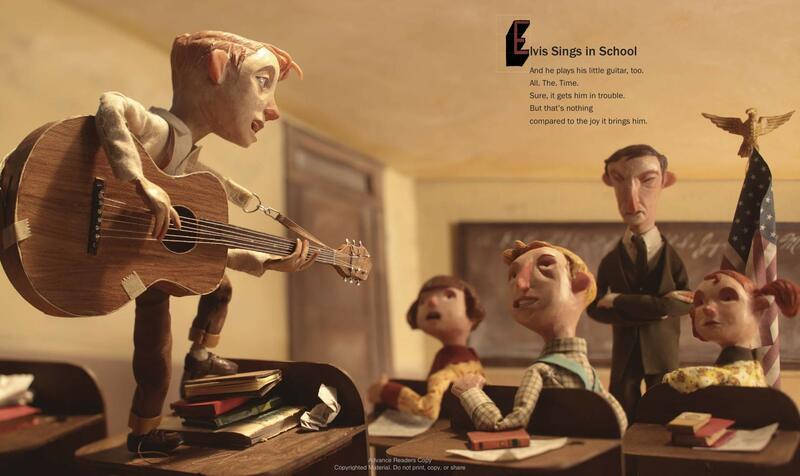 The southern twang of the text and the outrageous three dimensional Red Nose Studio illustrations are a perfect combination to tell Presley’s story. Cons: A list of resources would have made a nice addition to the author’s note. 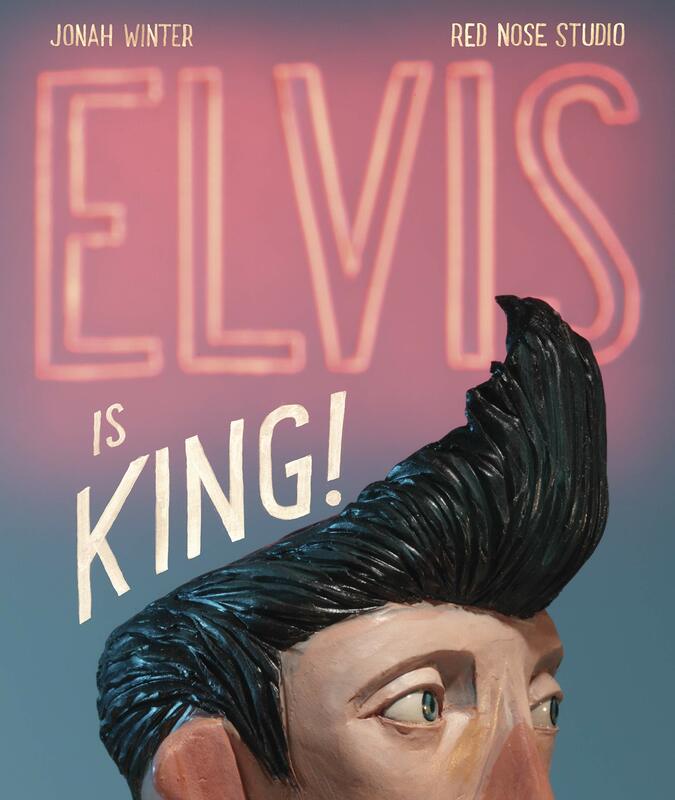 The early years of Elvis’ life portrayed with short snippets and 3D illustrations. Many kids may not know Elvis Presley these days, but their parents will. Always learn something new from picture book biographies!